Monmouth College chemistry professor Garret Theissen decided the placement of the cannon should be in front of McMichael hall, so he could ensure its safety. In order for the cannon to be allowed on the campus, it had to be in a state where it could not be stolen. 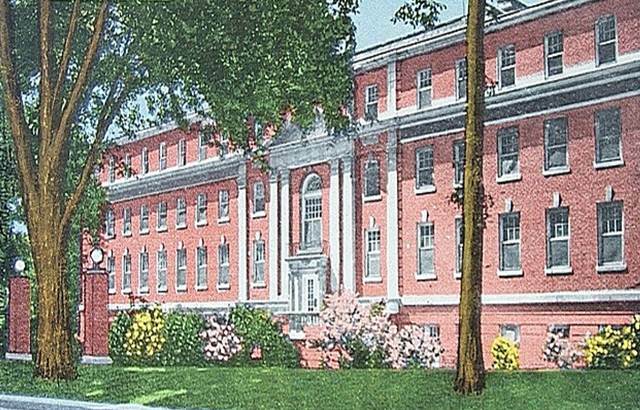 A large hole was dug in front of McMichael hall on April Fool's Day, 1953. The cannon was loaded, barrel down, and concrete was then poured to fill the hole and cover the cannon. The Cannon was located in front of McMichael Hall from 1953 until 1990. 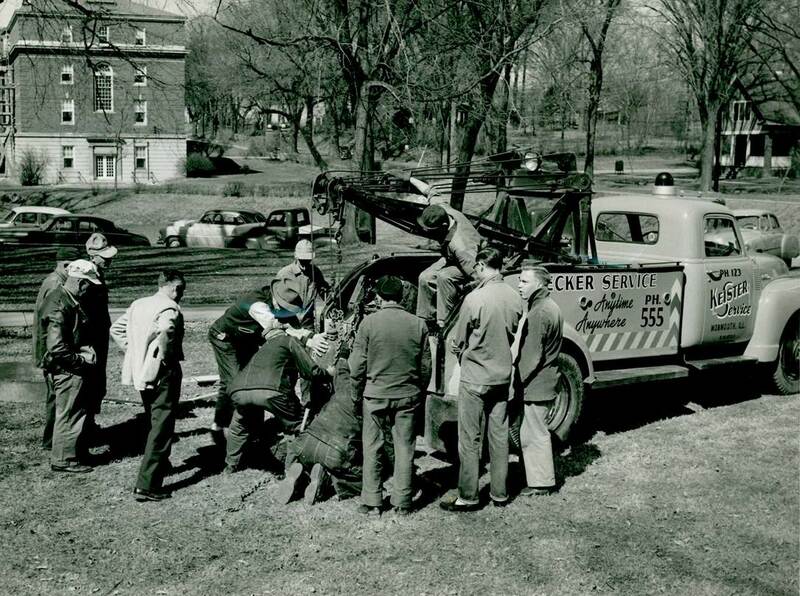 On April Fool's Day, 1953, the search team responsible for locating the cannon decided to bury the cannon in front of McMichael Hall for safe-keeping. 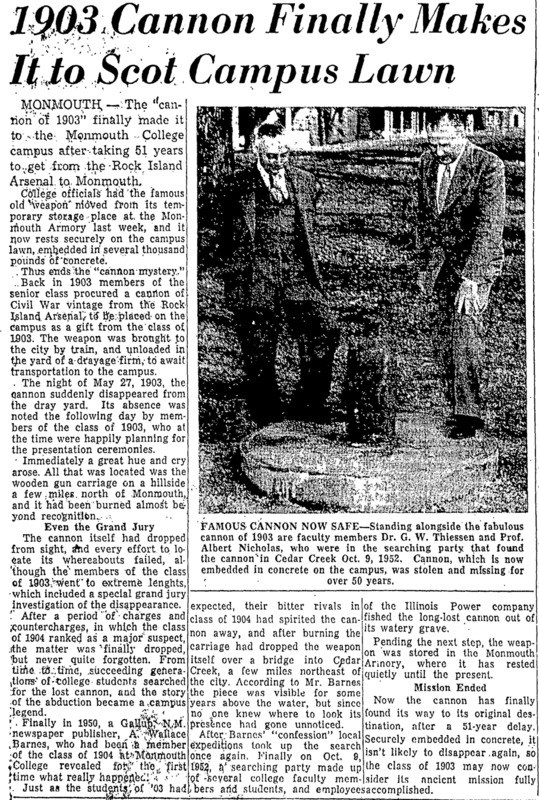 The article describing the Cannon's return to Monmouth College.